Roxy Mermaid was created over the course of several days during the world-famous Roxy Pro surf contest in Biarritz, France. Primarily constructed using discarded beach sandals and other bits of miscellaneous beach trash, the life size Roxy Mermaid sculpture rose from the rocks overlooking the waves on the Cote de Basque, attracting the attention of all who caught sight of her, each person mesmerized by her striking outer beauty. 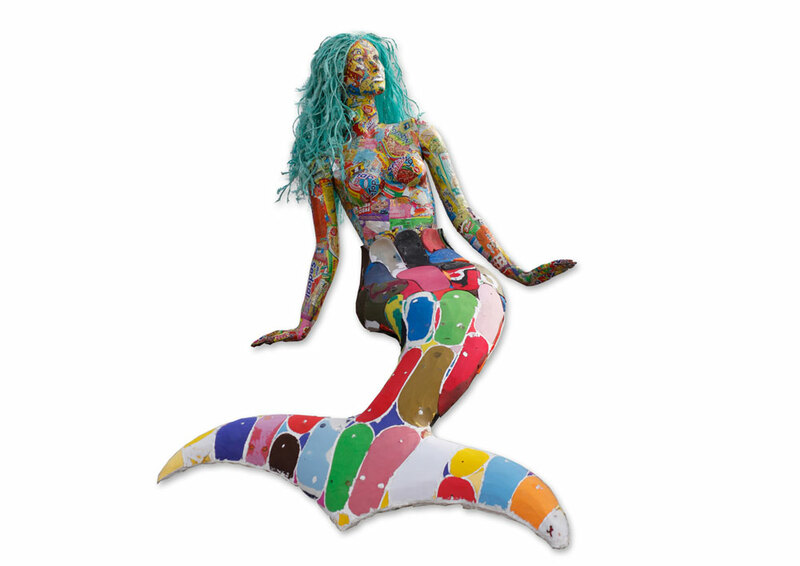 The fact Roxy Mermaid was created using pollution recovered from our oceans conveyed an important message about the dark and ugly reality of our impact on the environment.